ITS has applied a number of updates to JasperNet WIFI this morning to add additional capacity in residence halls including Horan, apply a permanent fix to a known issue previously affecting Apple OSX devices, and implement a configuration to prepare for the next generation of WIFI deployments (802.11ac). JASPERNET - the preferred high-performance WIFI network providing access to both 5GHz (802.11n & 802.11a) and 2.4GHz (802.11n & 802.11g) devices. JASPERNET is available in all campus locations. The 2.4GHz frequency range will be removed over the winter break in preparation for future upgrades (in locations that support 5GHz). JASPERNET5 - this temporary network #High5 was deployed in Horan Hall to help mitigate WIFI performance issues reported during the fall semester. JASPERNET5 will be removed over the winter break. JASPERNET-legacy - this NEW network has been deployed across campus to provide connectivity to legacy devices that are not equipped with WIFI hardware that cannot connect to 5GHz networks. This network will operate solely on the 2.4GHz frequency range and support 802.11n and 802.11g devices. These changes have been made as a reaction to the increasingly crowded 2.4GHz spectrum as well as preparing for the next-generation of 802.11ac WIFI devices that will operate on the less-crowded and better-performing 5GHz spectrum. Over time, we expect to see devices that can currently only connect to the 2.4GHz spectrum being replaced by newer devices that support both 2.4GHz and 5GHz WIFI with a preference for the higher-performing 5GHz WIFI spectrum. Be on the lookout for an update at the end of the semester. 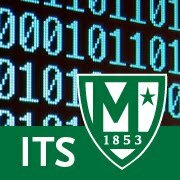 Please report any issues to ITS #TellITS by emailing its@manhattan.edu or calling x7973. You can send your speedtest results to @MC_ITS on Twitter.